One topic, 2 different angles, 6 points per angle, in english [sometimes in french, too], that's all about this blog by Loic Simon, Club Cloud des Partenaires. In this second "Surfing the cloud tsunami*" post, I look at both the challenges and the opportunities for Infrastructure Integrators and CSIs (consultants and systems integrators) who embrace a cloud builder business model. 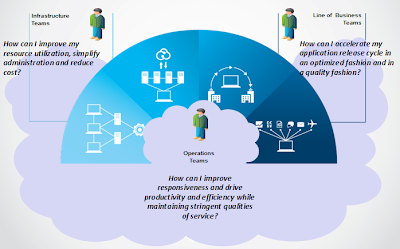 Cloud builders design, build and implement private clouds. They often complement their services by providing hosting and managed services for those private clouds. Their customers are companies with a need for private clouds, but also cloud providers who want to deliver cloud services to their own communities, stakeholders or customers (turning their private cloud into a community cloud or a public cloud). Cloud builders are typically found among traditional infrastructure integrators / hardware resellers like APX, D.FI, Overlap, SCC..., but also inside CSIs like Sogeti, Cap Gemini, IBM GTS (Global Technology Services). To implement the private clouds they build, they leverage hardware and software technologies from vendors like IBM (PureSystems, Tivoli..) and often adhere to cloud certification programs like the IBM Cloud Computing Specialty. Hybrid cloud, cloud brokerage : leverage public cloud services where useful, supplement private cloud with public cloud services, delivered by a range of trusted vendors. In my role in Cloud Channel Development, I regularly meet with IBM business partners of the cloud builder breed. Many have clearly undertaken their journey towards cloud, but some still practice "cloud washing" by rebranding their traditional infrastructure virtualization (and managed services) offerings with some cloud lingo, without actually embracing cloud. Dealing with talent shortage: In a cloud market where tensions rise on the skills front, cloud builders struggle to attract and to retain the cloud talents that they need to stand out from the crowd and be positioned as experts in the private and hybrid cloud field. Offering opex solutions: Despite capex (capital expenses) being still favored by some categories of customers, many are increasingly asking for private cloud infrastructures to be delivered as opex (operational expenses), on a "pay as you grow/shrink" basis. The pressure of public cloud IaaS/PaaS/SaaS pay per use forces cloud builders and their technology providers to find innovative ways to also provide private cloud solutions "as a service". Becoming (or not) a cloud provider: Many cloud builders have already turned MSP (managed service provider) but this side of their business generally lacks the breadth and depth of real specialized cloud infrastructure providers. Most are still in a Cloud Washing or Cloud Canada Dry mode: Despite calling it "Cloud", they provide traditional infrastructure or application hosting, wrapped in some virtualization and serviced, managed, supported by their staff, but with low levels of standardization, automation, industrialization, self service, elasticity... Will they succeed in an increasingly commoditizing IaaS market or should they try to become cloud brokers instead, leveraging other vendors' cloud services? Resisting Vendors: Many cloud builders come from the infrastructure integrator and hardware/infrastructure software resellers cohort. Sometimes, they have a hard time resisting their vendors' requests/directions. As most of the hardware and software vendors they deal with are themselves struggling to migrate to Cloud, their partner managers are both uncomfortable with cloud and stay focused on HW/SW "load", irrespective of the nature of the projects. Other vendors see the Graal in selling to LOB (lines of business) decision makers and, instead of helping infrastructure partners partner with business integrators, they instead try to push them to "move up the stack" and resell/integrate their business applications. Cloud builders have a hard time resisting both ttraditional reselling business and counter-nature diversification. Changing to a cloud culture: Integrators' sales managers and their incumbent sales reps are not yet fully comfortable with cloud and resist it. They find every bad explanations for not selling cloud, from prospects being adverse to cloud to customers already doing some cloud with simple virtualization...Building a cloud culture in an existing reseller or integrator is a challenging task. 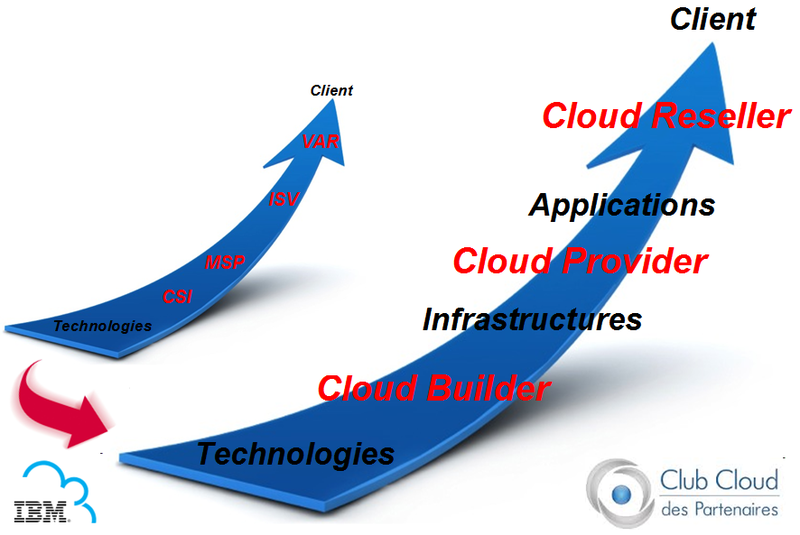 Focusing and partnering: By both building and operating/managing clouds all by themselves, many cloud builders lack enough focus to be well positioned both as consultants/archictects/builders and cloud services providers. Besides, when they enlarge and diversify their cloud portfolio, but still want to deliver the related products and services by themselves, they send a bad signal to potential complementary partners who could be otherwise leveraged. It is clearly challenging to move from a "we do it all for you by ourselves" mantra to a "we are excellent in this specific field and we partner for the rest to provide you with a complete solution" approach. Providing cloud skills: Cloud talent shortage may benefit those cloud builders who have secured a strong position in private cloud and who know how to leverage the cloud certifications and the skills of their cloud consultants, architects and pre-sales. Offering capex and opex solutions: Financially solid cloud builders who know how to leverage vendors' "pay as you grow" programs and financing schemes may find innovative ways to propose flexible opex solutions for private clouds too. Aligning with key vendors: Cloud builders who choose to align with key vendors may benefit from the eagerness of those vendors to show progression in their cloud business. By focusing on fully mastering those vendors' hardware and software technologies, they both earn the confidence of customers in need of expertise and of vendors' pre-sales and sales teams who are then more than happy to provide leads. There is nothing new here, but alignement with specific vendors in new markets/technologies remains an effective and efficient strategy, provided of course the vendor is a winner. Igniting a cloud culture: As tricky as it may be, moving to a cloud business is a bit simpler for cloud builders than for those embracing other cloud business models. In fact, from both a technological and a financial angle, cloud builders still deliver projects (consulting, integration and implementation, which often includes HW/SW reselling) when they sell a private cloud (beware capex to opex requirements, though). By refocusing some of their consultants, architects and pre-sales towards building clouds and by dedicating some cloud savvy sales people to handling the first private cloud projects, they may well succeed in seamlessly igniting a cloud culture within their organization and within their customer base. Of course, success depends on executives' alignment behind a cloud builder strategy. As this alignment may prove difficult for most incumbent sales directors/managers, it is certainly better to appoint a dedicated sales leader/executive for the cloud business. Focusing and partnering: Cloud builders who understand the power of P2P (partner to partner) to answer customers' cloud needs have an opportunity to both deliver real business outcomes to their customers and to enjoy a strong position in their specific field of expertise. They can be helped in their partnership quest by some vendors and by VADs (value added distributors), but also by dedicated experts who master the art of channels, partnerships and alliances. As this is of course a highly subjective list, please share any additional challenges or opportunities you find key for cloud builders in 2013! 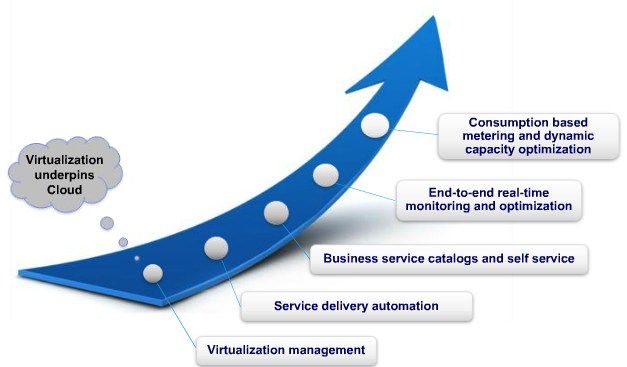 Providers of Business Services leveraging Cloud to displace the IT market. You may also want to read my paper on IT Ecosystem, who's surfing the cloud tsunami or my 6 plus 6 predictions for the cloud ecosystem in 2013. IBM Cloud Channel - Reviewing my 2012 predictions! Revendeurs, intégrateurs, 6 plus 6 façons de surfer le Tsunami Cloud !